Mercedes-Benz won't take the wraps of its new super-luxury S-Class sedans until the Paris Auto Show in late September, but the company is tempting potential buyers to wait by revealing some of the technological wonders the new car will bring with it. Among the host of new marvels is a radar-controlled cruise-control system, seats with air-cooling, and "magic fingers" that will massage a driver's back while on the road. And, oh yes, you can jettison the ignition and door-key. 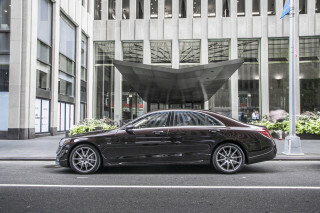 Those features are all in addition to the normal S-Class qualities of power, luxury and general engineering excellence. Mercedes' new cruise control, called Distronic, uses a radar unit mounted behind the radiator grille. This feeds a powerful computer that measures the distance to vehicles ahead, up to a distance of almost 500 feet, and across three lanes of freeway traffic. The driver sets the distance to be maintained between the S-Class and vehicles in front by means of a rotary switch on the dash, which selects a gap of between one and two seconds. Normally, the distance is set at 1.5 seconds, which corresponds to a distance of about 130 feet. A graphic display on the dash shows the S-Class and the vehicle ahead of it, together with a read-out of the space between them. If the gap drops below the pre-set distance, the brakes are applied gently to slow the car and open the space up again. If the gap continues to decrease, the brakes are applied more, until they are operating at 20 percent of their maximum. At that point a warning sounds and a light flashes on the dash, warning the driver to take over control. During normal use, this rarely happens, and the Distronic, which uses a new form of cruise control that has been available on some Mercedes models for months now, slows and accelerates back to the pre-set speed almost imperceptibly. Mercedes has tried the system on Germany's Autobahn, and the company says drivers taking part in the tests found that when Distronic was being used, driving was noticeably more relaxing and less stressful. Easing driver stress is tackled in another way with the S-Class seats, which use 10 mini-fans to blow cool air through the upholstery and onto the driver's body. Using the cooling system promises to end that "sticky back" feeling we have all known, even in air-conditioned cars, in hot weather. The fans that blow the air have three speeds, with the maximum designed for use when a car has been parked in the sun and the seat surfaces need to be cooled drastically to ensure comfort. Mercedes has even come up with a special "Summer" setting on the remote-locking control - it's not a key-fob, because there is no key - which unlocks the locks, winds the windows down and switches the seat fans to maximum cooling! Another new feature of the S-Class seat is a combination of air sacs in the lower-back and shoulder area, which will gently inflate and deflate to "massage" tired drivers. Once again, Mercedes says that this relieves stress and makes for safer driving. Slightly smaller and more curvaceous than the current S-Class, the new model will come to the U.S., currently its largest market, this coming fall. 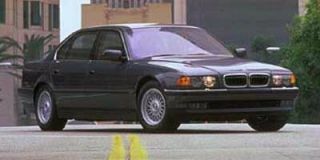 It will have a range of engines starting with a 3.2-liter V-6 and going on up to a 5.0-liter V-8. The latter unit will use the principle used by Cadillac some years ago, in which ignition to four of the eight cylinders is cut off under light load, in order to save gas. 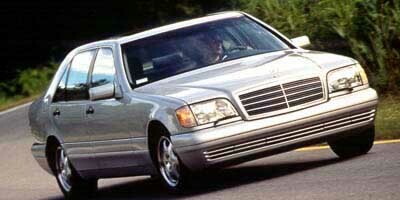 The 6.0-liter V-12 used in the current S-Class won't make it into the new range until 1999.